Independence and Freedom... - Coach & Grow R.I.C.H. If you’re like me, freedom is one of your highest values and what you’re most grateful for. Have you had your Freedom Day yet? When you leave your full time job to start your business or lead your own sold-out seminar or get your book published or break 6-figures doing what you love! I want for you to have your own Freedom Day. So to help inspire you to make that happen I asked my friend Tiamo if I could share his song “Freedom Day” with you and he said YES. Download the “Freedom Day” song for free. I love this song! It’s so upbeat and inspiring. 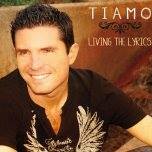 Tiamo wrote his song “Freedom Day” on the day he left his job to pursue his dream. And now, he’s speaking on 5-figure stages. Get inspired and download the “Freedom Day” song now. Here’s to independence, freedom and living the dream!